I like traditional coleslaw, but I also like coleslaw with twists and have made my fair share of variations over the years. Some of which have been shared on my blog such as the Black Sesame Seed Coleslaw, Cool Coleslaw with Raisins and a smoky one, appropriately called Gun smoke Coleslaw, its one of my favourites. Anyway, now and again, I will also make a Curried Coleslaw with South Asian spices and toasted cumin seeds. Today though I wanted to go one step further and apply some heat to it, yeph cook it. This is ultimately just a dry cabbage and carrot curry, but I think Coleslaw Curry sounds a bit more interesting. The Coleslaw Curry can be served with chappati, roti or with naan bread, but I wanted to use up the tortilla wraps in my bread bin. 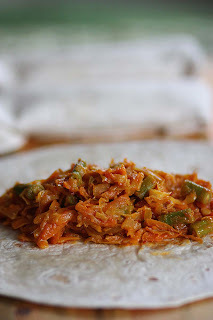 This is a very thrifty recipe with many of the spices found in most kitchens and the vegetables: carrots, cabbage and french green beans (an optional addition) are relatively low cost and in season. 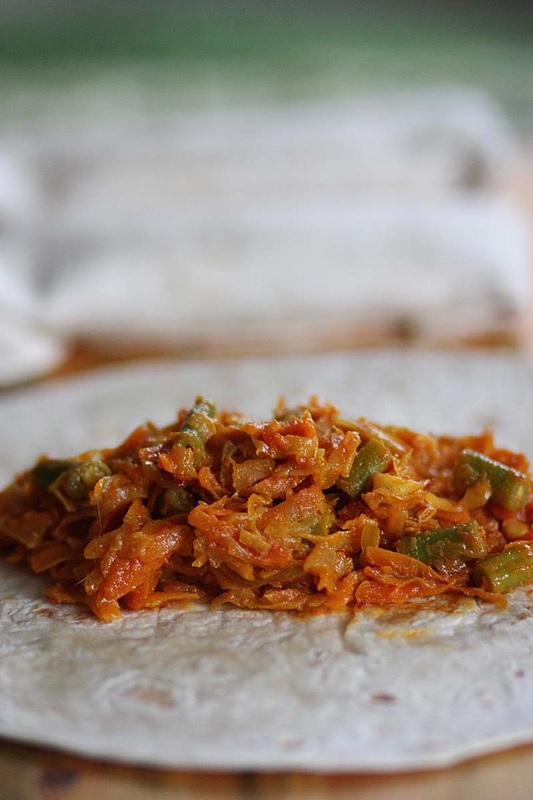 Although this Coleslaw Curry reminded me of a couple of dishes I've made in the past, they were still all very different such as my Spicy Green Bean, Carrot and Potato Tortilla bake and a Sri Lankan Carrot Curry. This Coleslaw Curry however, was much sweeter. Of course, you don't have to wrap the filling in a tortilla, for a gluten free option you can ladle it warm over jacket potato too. 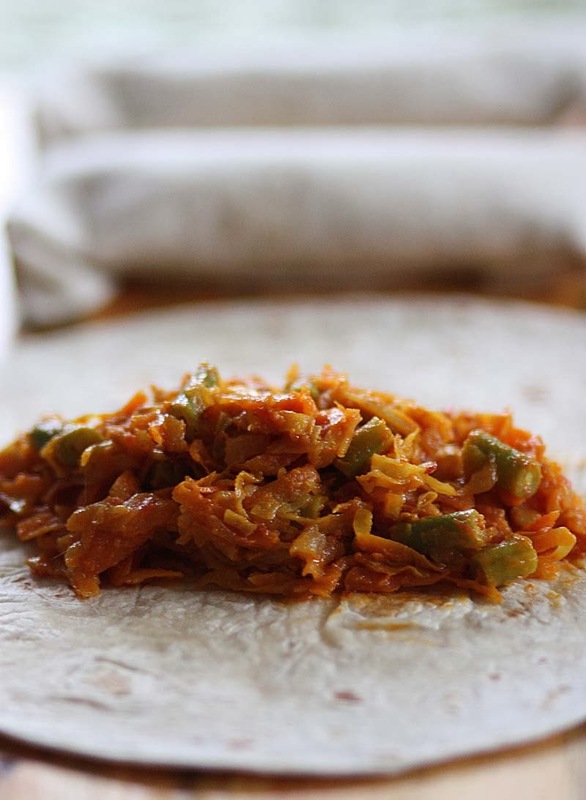 I'm sharing this Curried Coleslaw Curry with Credit Crunch Munch, a food blogging challenge set by Helen at Fuss Free Flavours and Camilla at Fab Food 4 All. This October Credit Crunch Munch is being hosted by Utterly Scrummy. In a large wide pan, heat the oil then add the minced onions, garlic and ginger and cook until transparent, add the cumin seeds and spices and cook until the oil rises to the surface. Add the tomatoes and cook until well integrated. Then stir in the cabbage, cook for a few minutes, before stirring in the carrots and the french beans. Cook until flavours are well infused and the vegetables are proper tender and well cooked. Keep stirring to stop the vegetables from sticking to the pan. When the oil has raised to the surface again. Turn off and it is ready to use in tortilla wraps. Please note there should only be a little oil on the surface, not a pool. You can if you want a more liquid curry, add optional150ml - 250ml water to the pot, bring to the boil, let it simmer until the flavours have infused into the water. You have the most unique recipes! 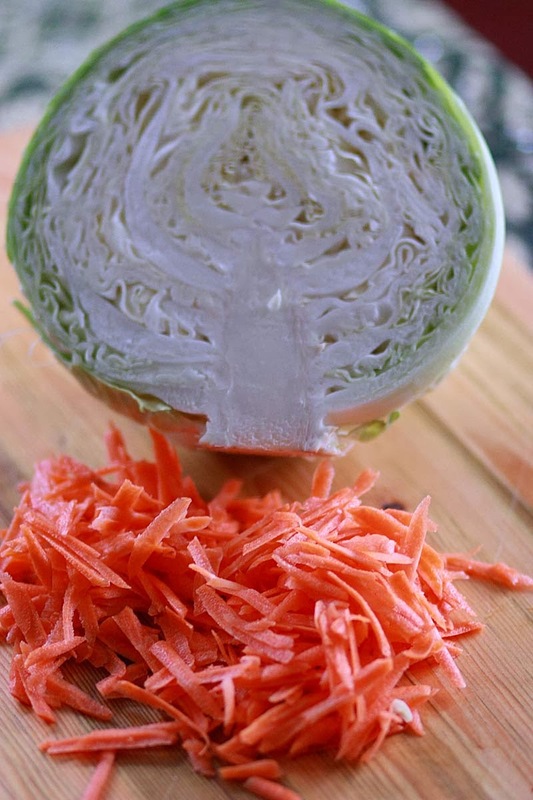 I love the idea of this coleslaw curry. I don't have a lot of luck getting my kids to eat coleslaw on it's own but this, I'm sure, they will enjoy in a paratha or chapati roll! Thank you so much for your lovely comment. It really is so good to hear from you after such a long while. do hope all is well with you. 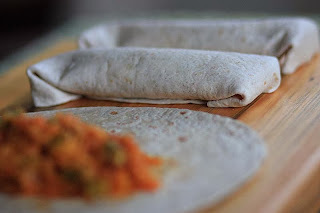 If you do make a variation of this, I do hope you kids like it, especially wrapped in a roti.